GFI Software’s security business unit has spun off into a new company, ThreatTrack Security, under unit general manager Julian Waits. The new business will take control of GFI’s antivirus VIPRE lines and its malware products ThreatAnalyser (formerly GFI SandBox) and ThreatIQ. GFI said the amicable split would also help it concentrate in its core collaboration, IT infrastructure, managed service provider and cloud services for SMEs. It will continue to deliver VIPRE technology via its GFI MAX, GFI MailEssentials and GFI WebMonitor brands. ThreatTrack plans to migrate across GFI’s security channel partners, who have been promised both a dedicated programme, as well as a new product roadmap designed to beef up end user defences in the coming months, according to Waits. 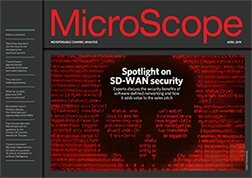 “APTs and other complex malware attacks have enterprises struggling to ensure the integrity of their networks and intellectual property,” said Waits. “Moreover many lack the necessary tools to know with certainty if they are a victim of an APT or other advanced malware strike. “ThreatTrack security was established to help enterprises bolster their cybersecurity readiness right now,” he added.